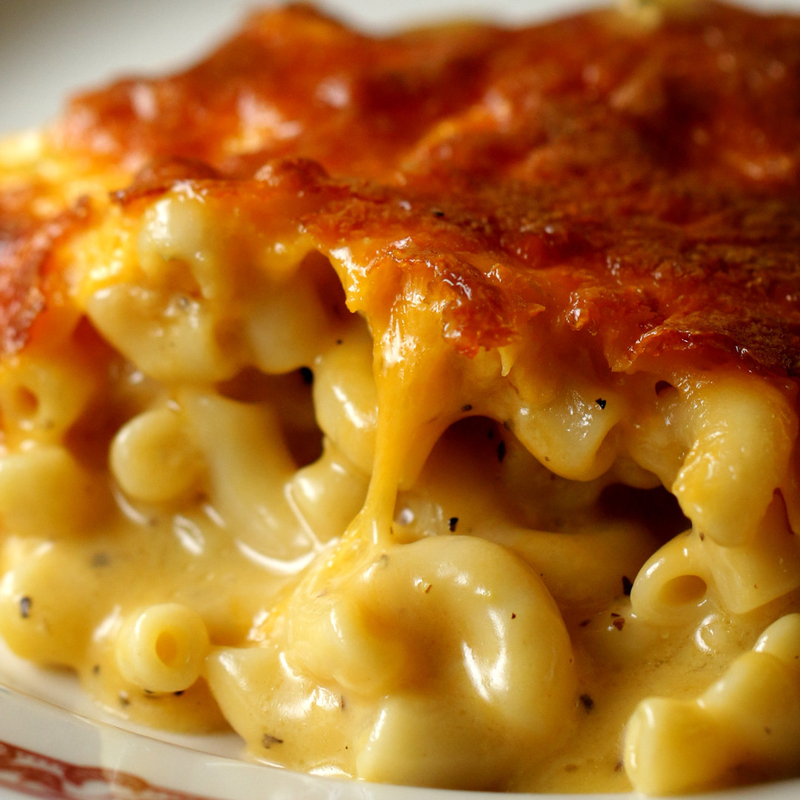 Just in case you needed any more motivation to whip up a cheesy garlic meatball ring or tiramisu mille-crepes. 1. 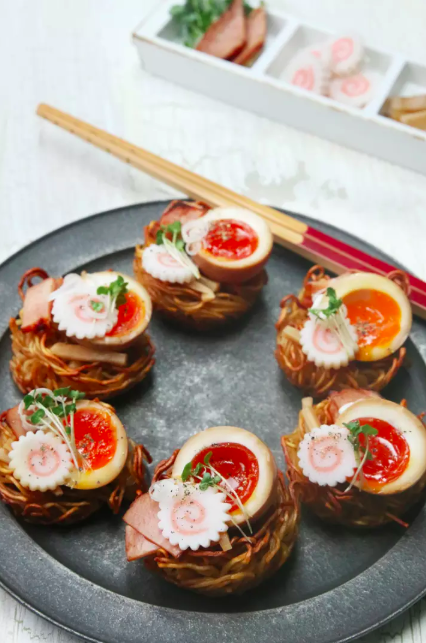 A microwave ramen cooker to evenly boil noodles while you prep the rest of the recipe for these masterpieces they call ramen noodle bites. The cooker is polypropylene- and BPA-free, and dishwasher-safe. 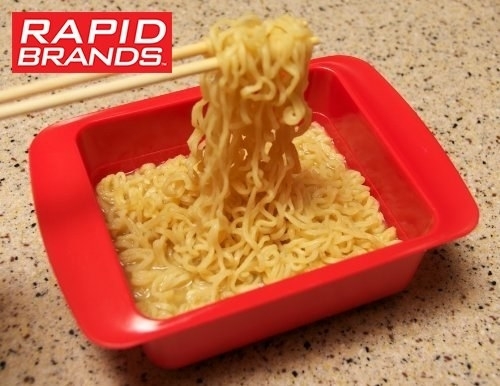 Get the recipe from BuzzFeed and the ramen cooker from Amazon for $6.99. 2. 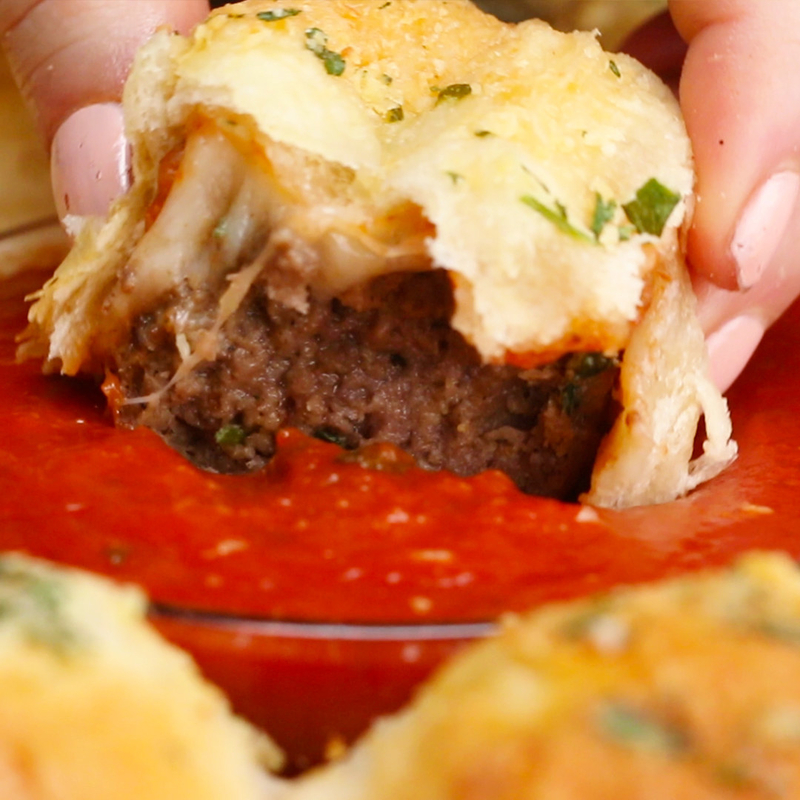 A rolling garlic chopper that'll keep the flame alive with your vampire bae until you serve up this cheesy garlic bread meatball ring. Enjoy eating garlic bread solo in the daylight! 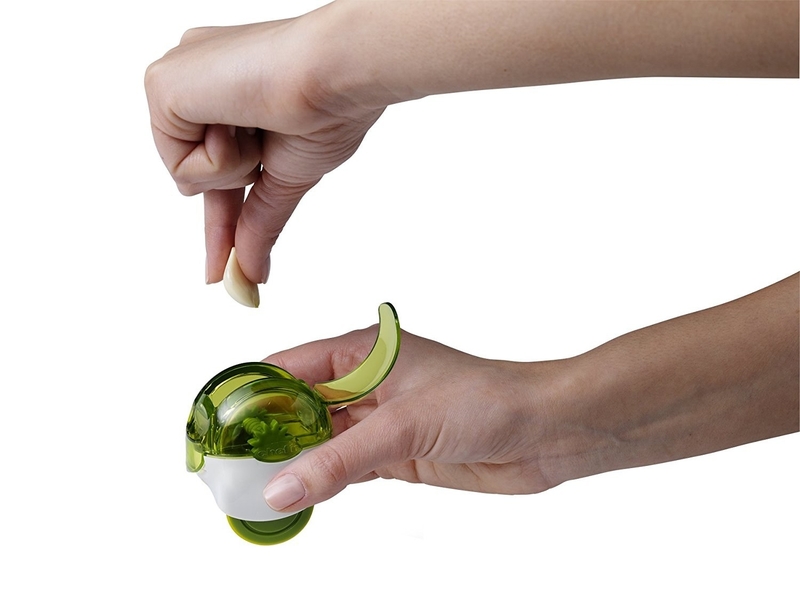 Check out one BuzzFeeder's ode to this lil' garlic gadget. 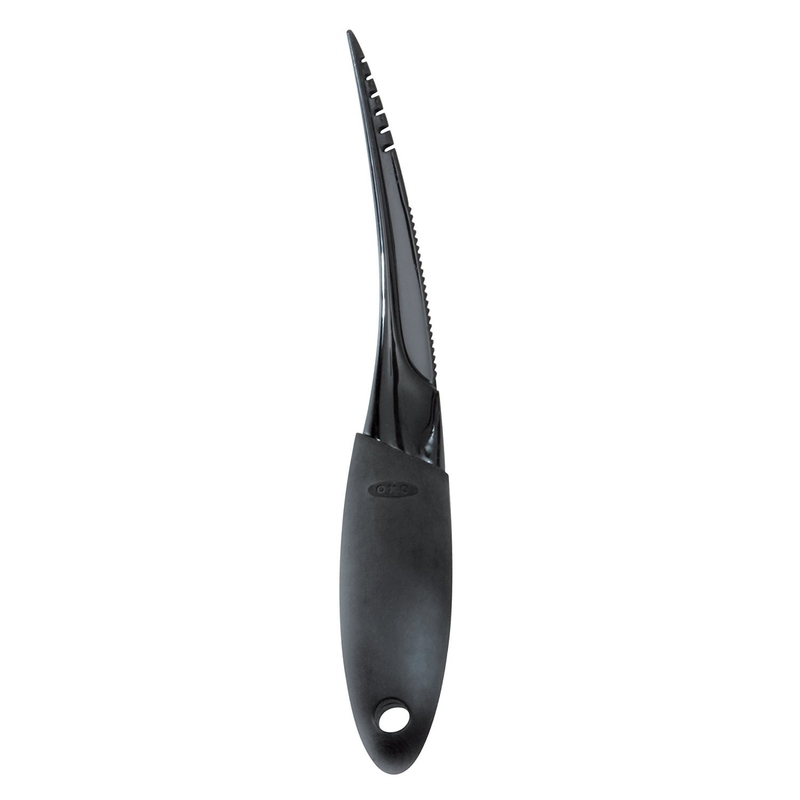 Get the recipe from Tasty and garlic chopper from Amazon for $8.95. 3. A ravioli press to help you make some homemade ricotta ravioli for the books. 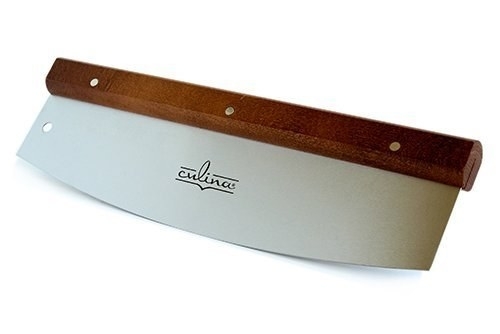 Use this with the rolling pin you already own instead of a specialty pasta roller. 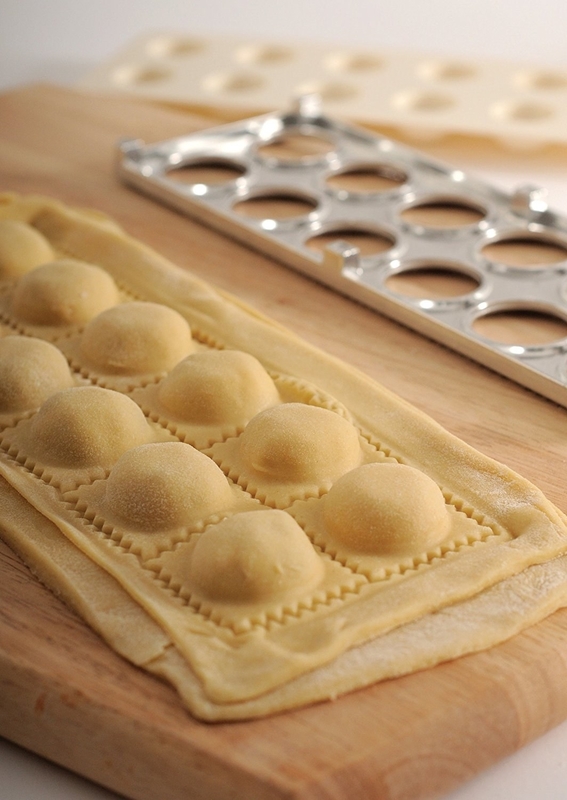 Each press makes a dozen 1.5”/4cm raviolis. Get the recipe from Amazon for $17.32. 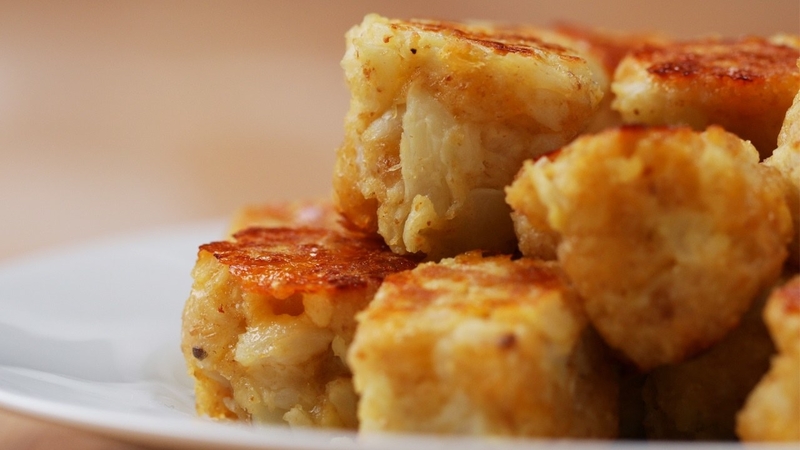 Who knew you could make something besides rice in a rice cooker? You. Get the recipe from Tasty (also on YouTube) and the rice cooker from Amazon for $29.31+ . 5. 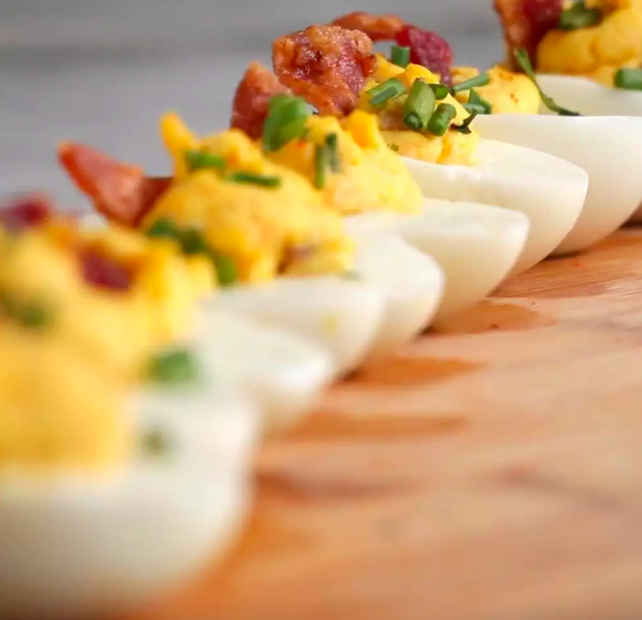 A rapid egg cooker — it'll mind your eggs to hard boiled perfection for these cobb salad deviled eggs you should most definitely bring to the next dinner party on your calendar. This cooker (that my friend is obsessed with) can make hard boiled eggs, soft boiled eggs, poached eggs, scrambled eggs, and omelets! 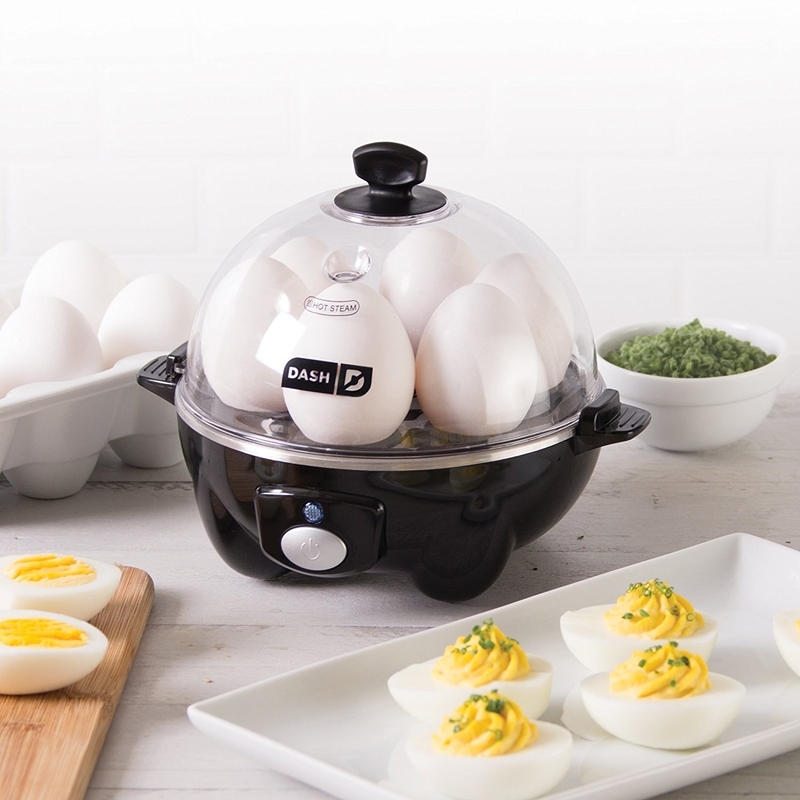 Get the full recipe from Tasty and the egg cooker from Amazon for $19.99+. 6. 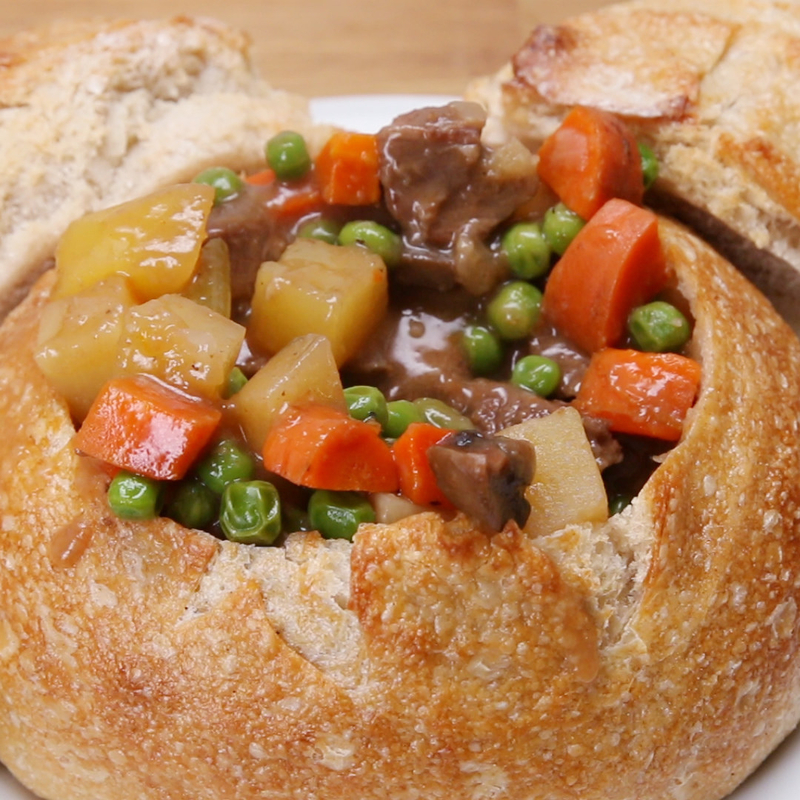 An Instant Pot to handle this dupe for Disneyland's beef stew bread bowl in an effort to bring some Disney magic home without paying big bucks for the travel. 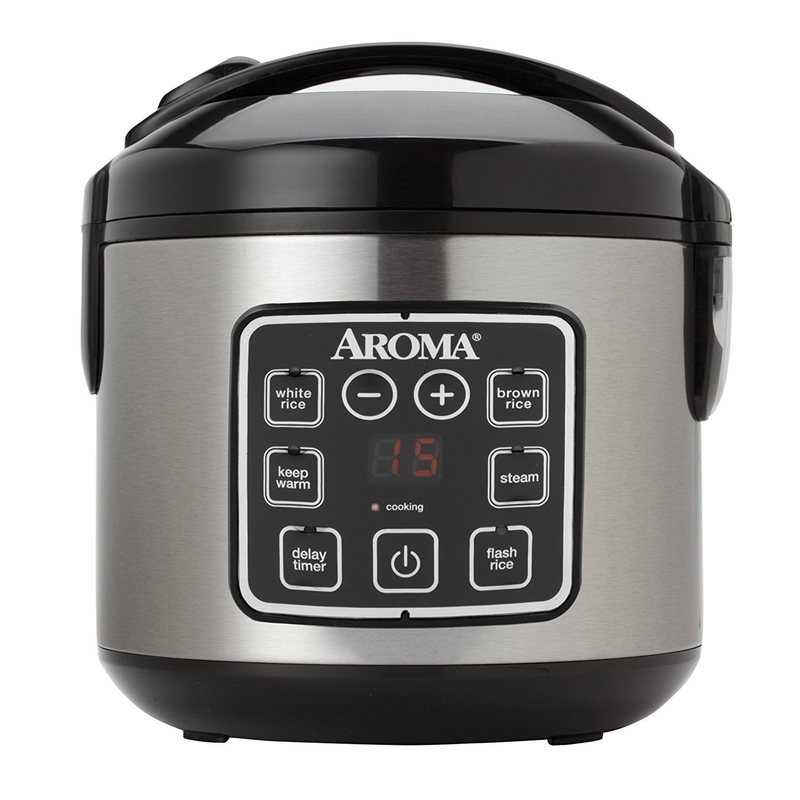 Still don't worship at the altar of The Instant Pot? One BuzzFeeder discovered it's a total game changer. 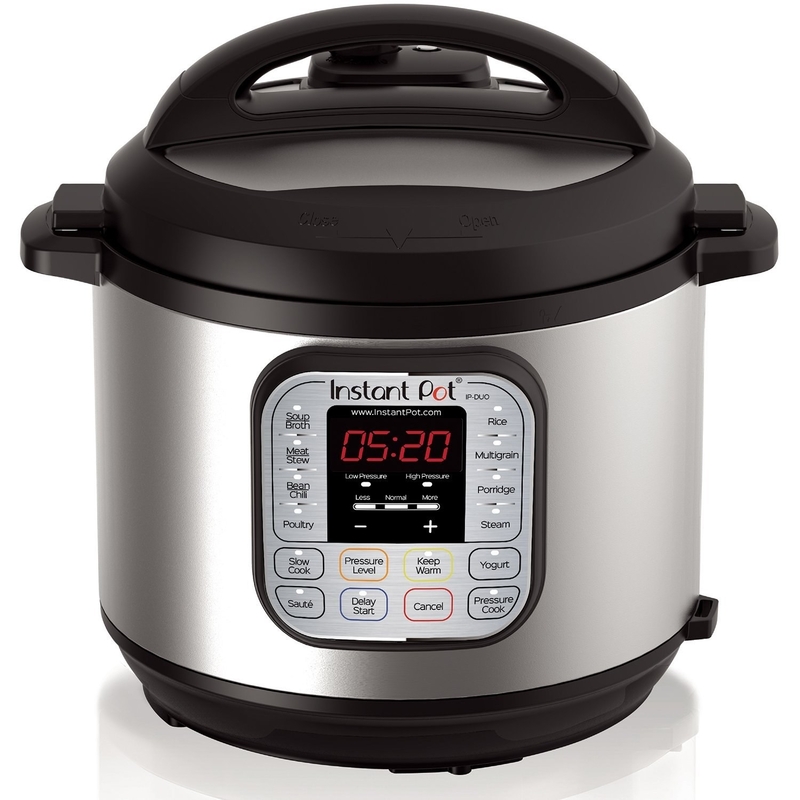 Get the recipe from Tasty and the Instant Pot from Amazon for $79.95+. 7. 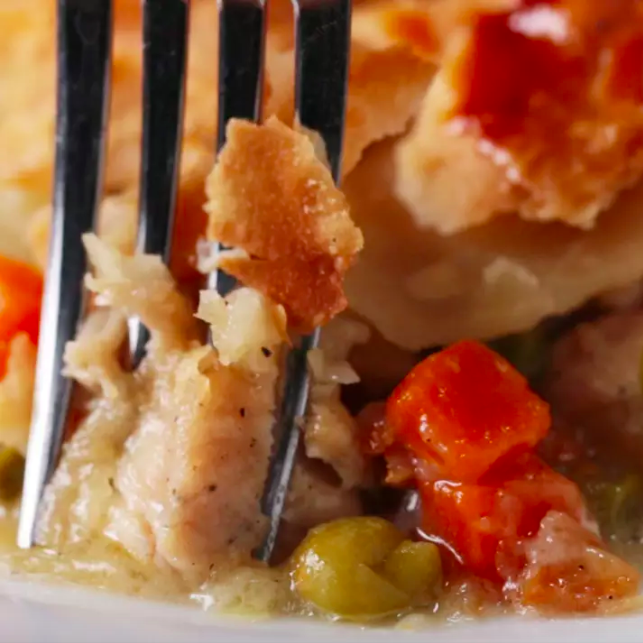 A cast-iron skillet — it isn't technically a gadget, but you can use it to slay all sorts of scrumptious things like this one-skillet chicken pot pie. All the better for quick cleanup! 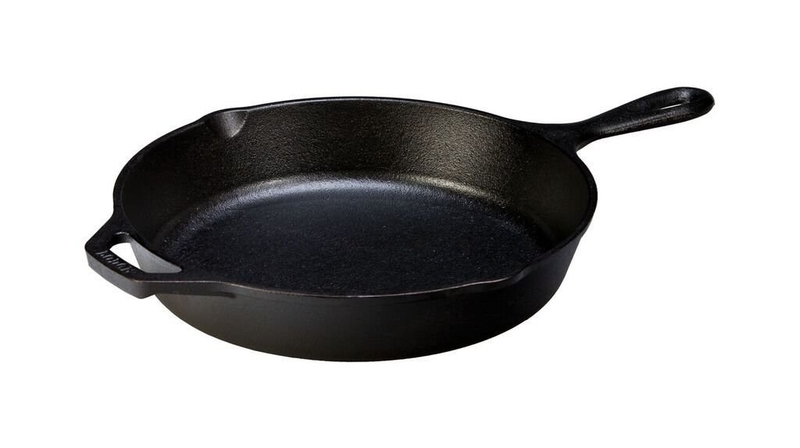 Get the recipe from Tasty and the skillet from Amazon for $14.90. 8. 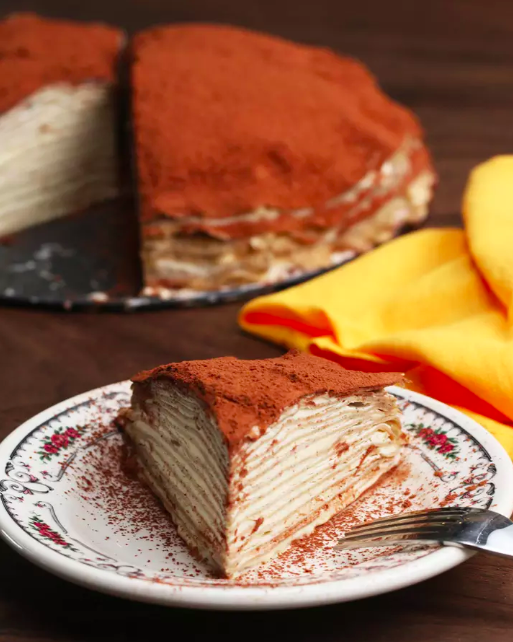 A simple egg separator for making quick(er) work of these gorgeous tiramisu mille-crepes you just may get requests to make over and over again. 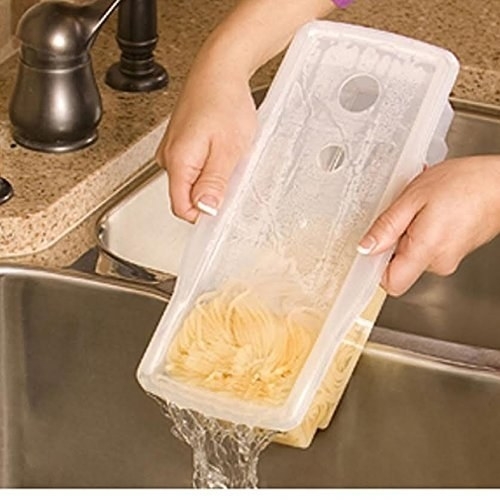 The separator is top rack–dishwasher safe. 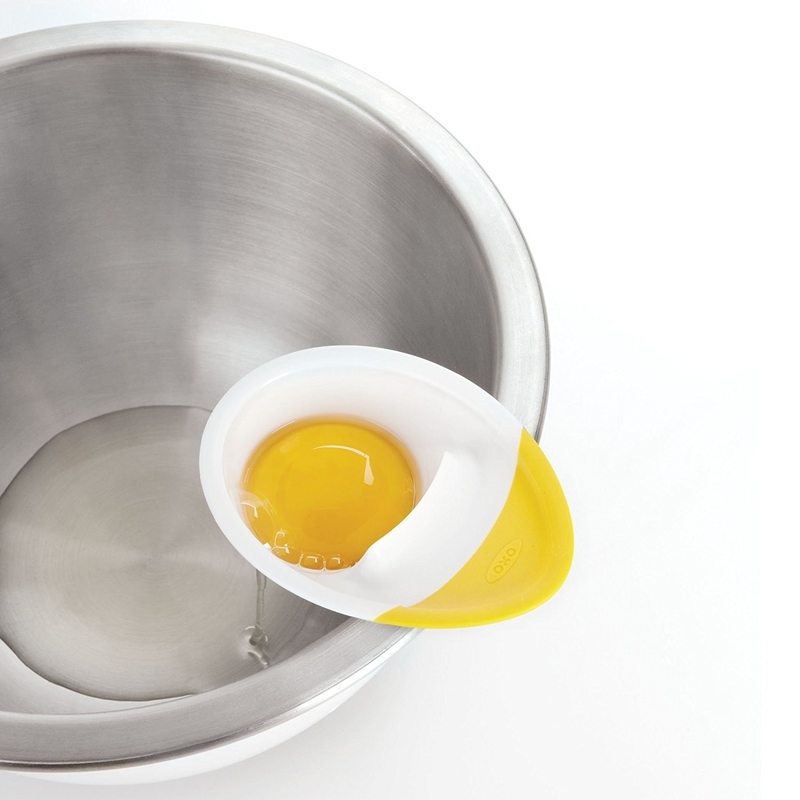 Get the recipe from BuzzFeed (and YouTube), and the egg separator from Amazon for $4.99. 9. 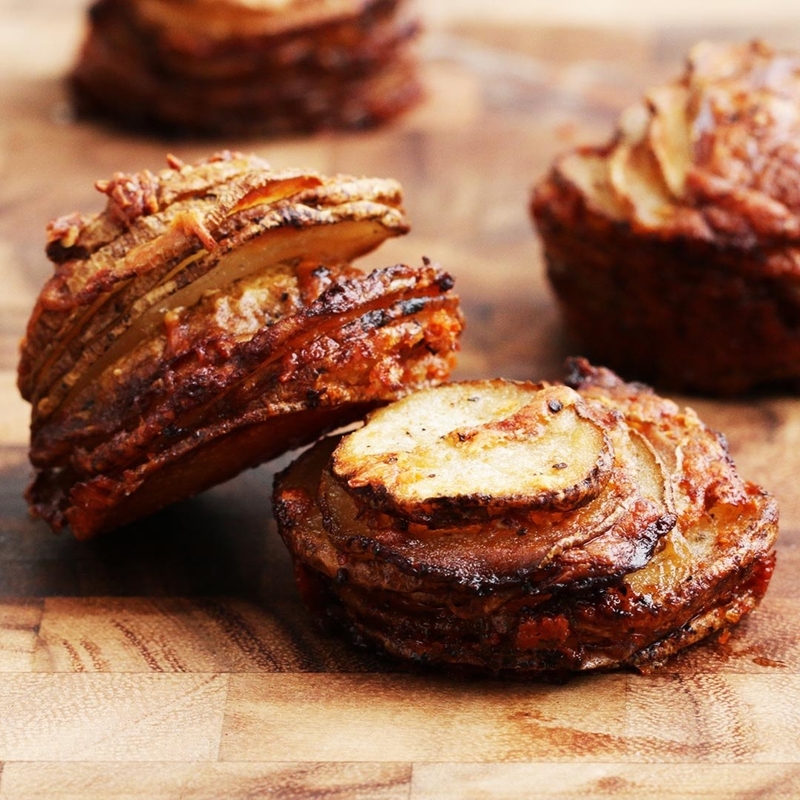 A 7-in-1 slicer to speed up prep work so you're this much closer to these glorious garlic parmesan potato stackers. 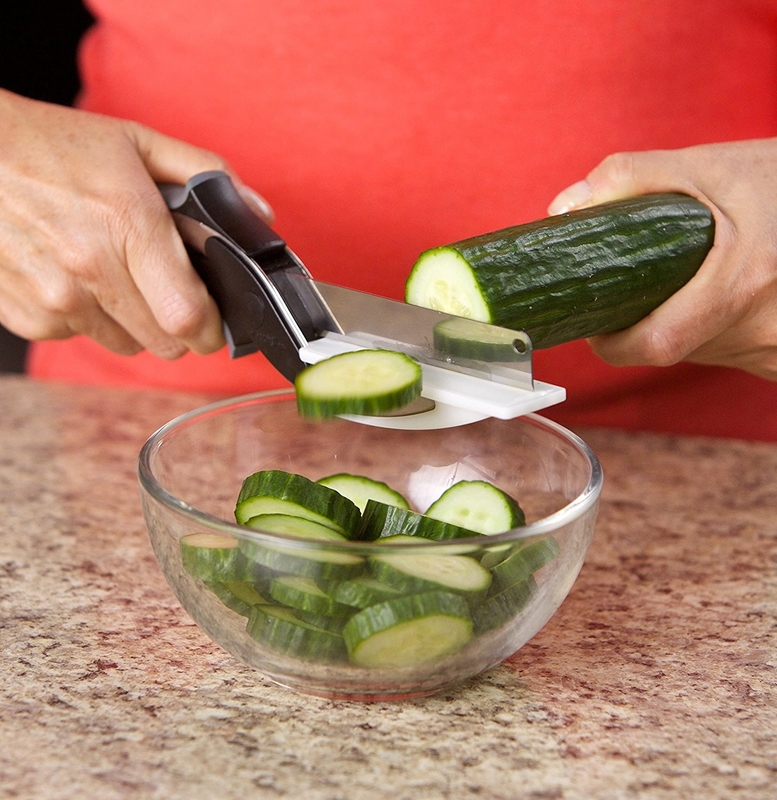 The slicer is BPA-, PVC-, and phthalate-free, and top rack–dishwasher safe. 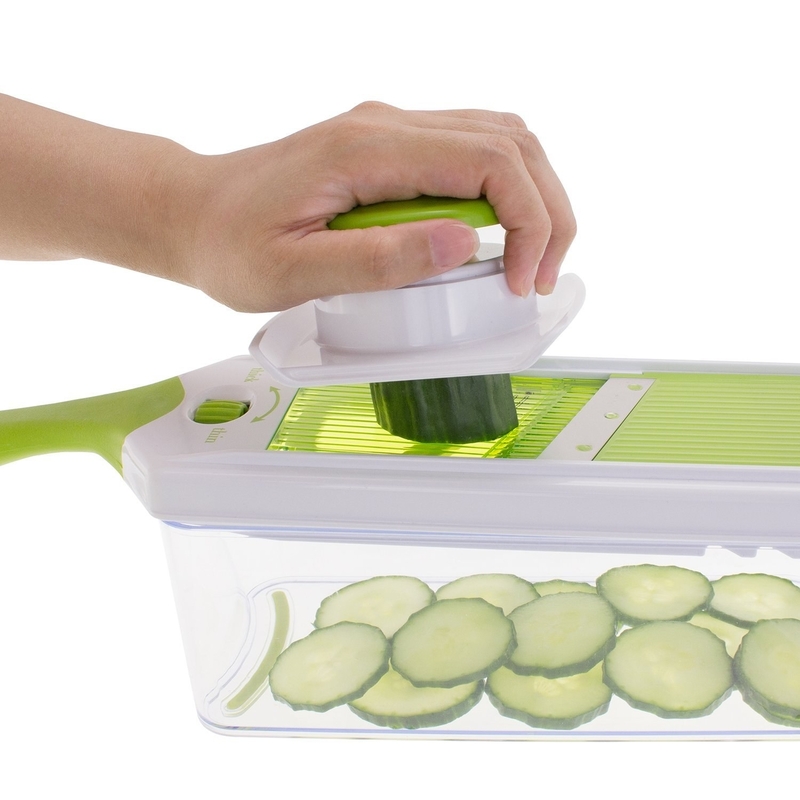 Get the recipe from Tasty and the 7-in-1 slicer from Amazon for $16.99. 10. 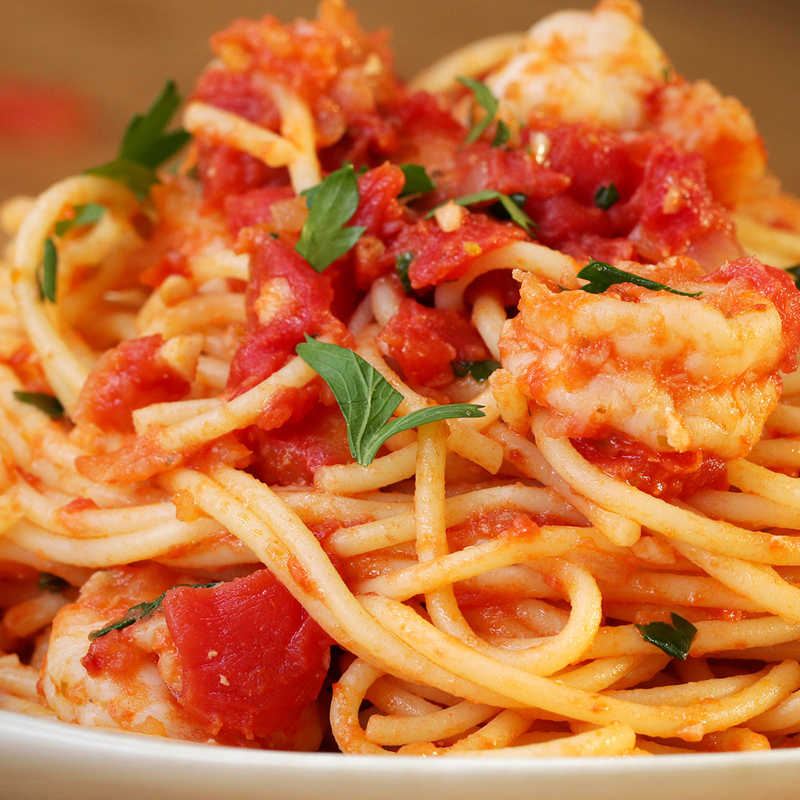 A shrimp cleaner for making this one-pot garlic tomato shrimp pasta even easier. 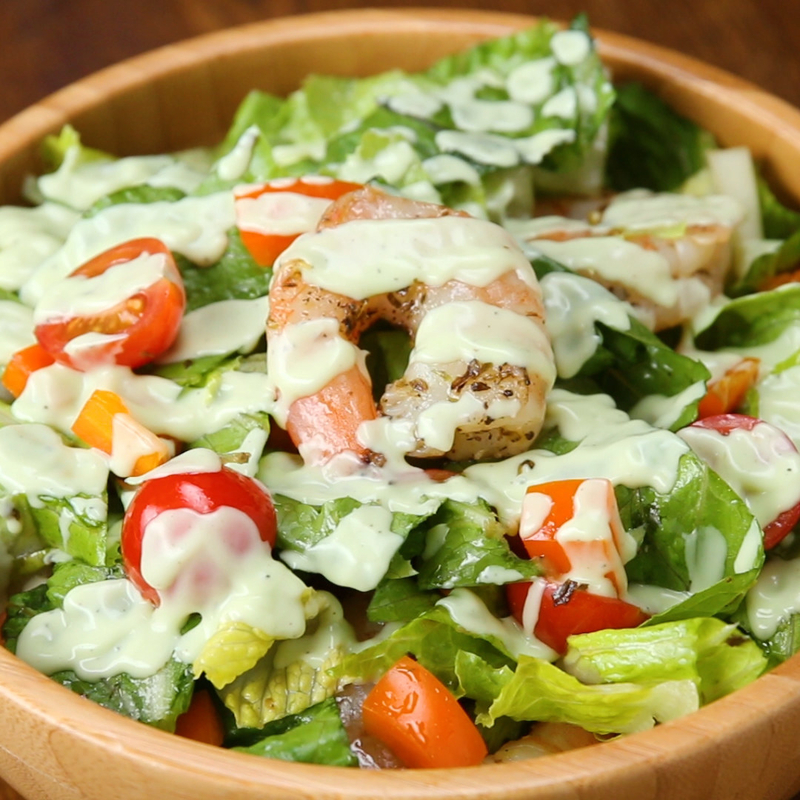 Get the recipe from Tasty and the shrimp cleaner from Amazon for $6.99. 11. 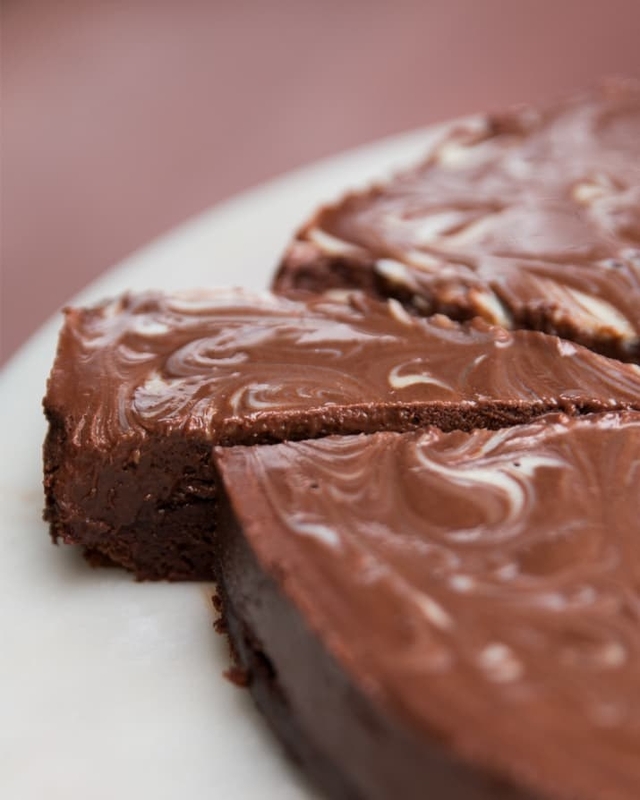 A trio of flexible silicone spatulas so no drip from this chocolate fudge ice cream cake recipe will go to waste. 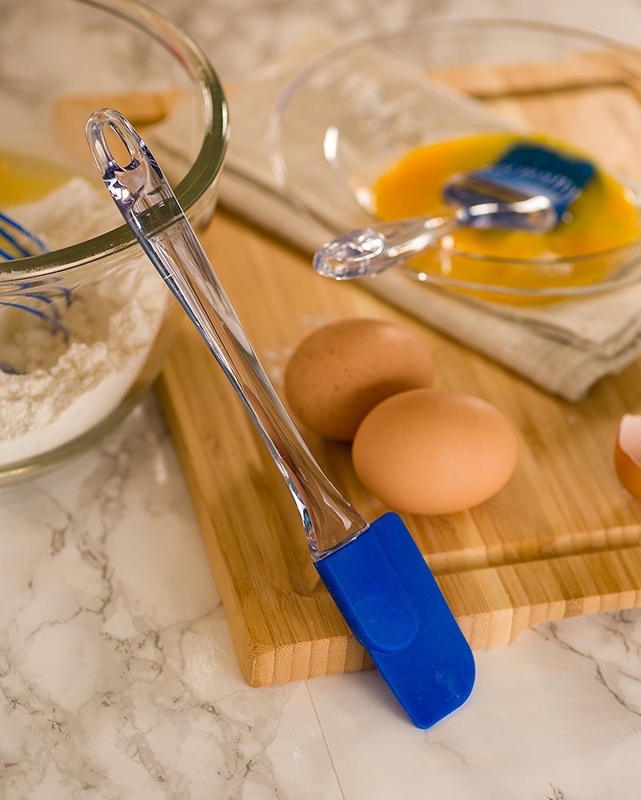 Spatulas are heat-resistant up to 450 degrees Fahrenheit, dishwasher-safe, stain- and odor-resistant, and BPA-free. Get the recipe from Tasty and trio of spatulas from Amazon for $7.19. 12. 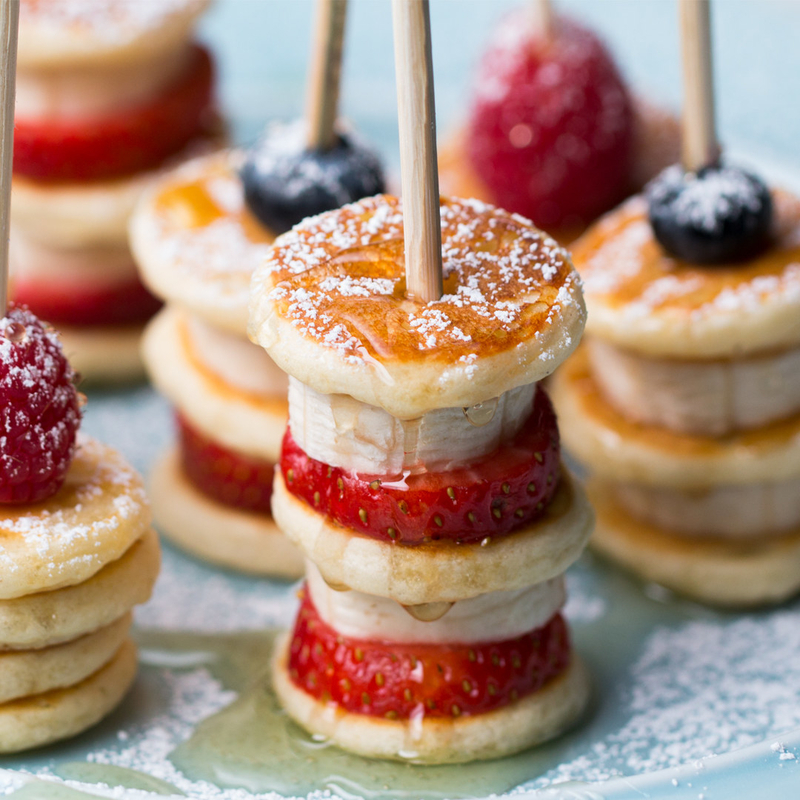 A batter mixer/dispenser to help you claim your throne as master of breakfast with some adorable strawberry banana pancake skewers. All mixer parts are dishwasher-safe. 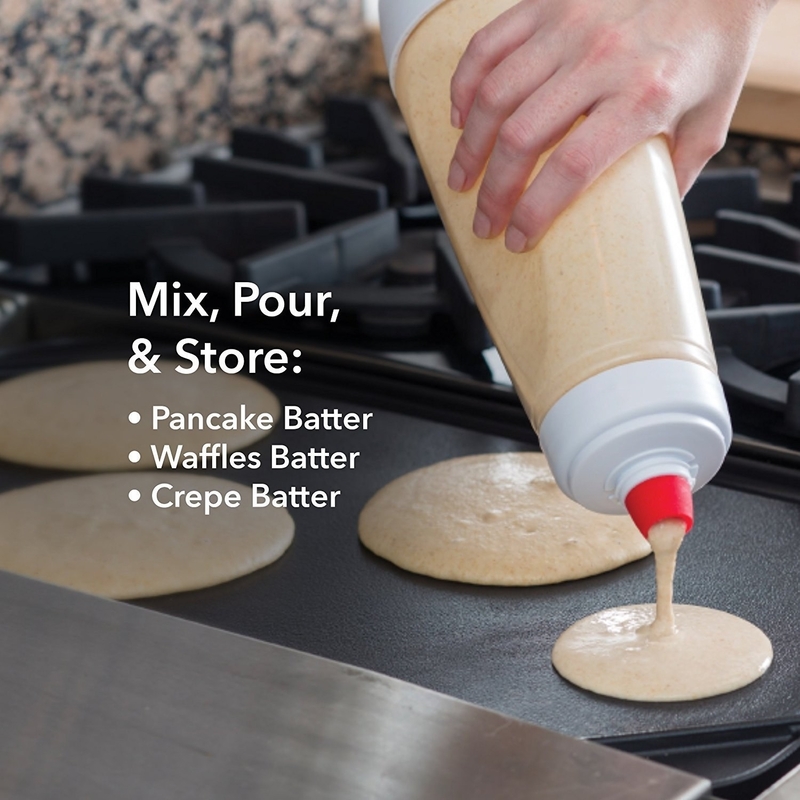 Get the recipe from Tasty and batter pourer from Amazon for $14.99. 13. 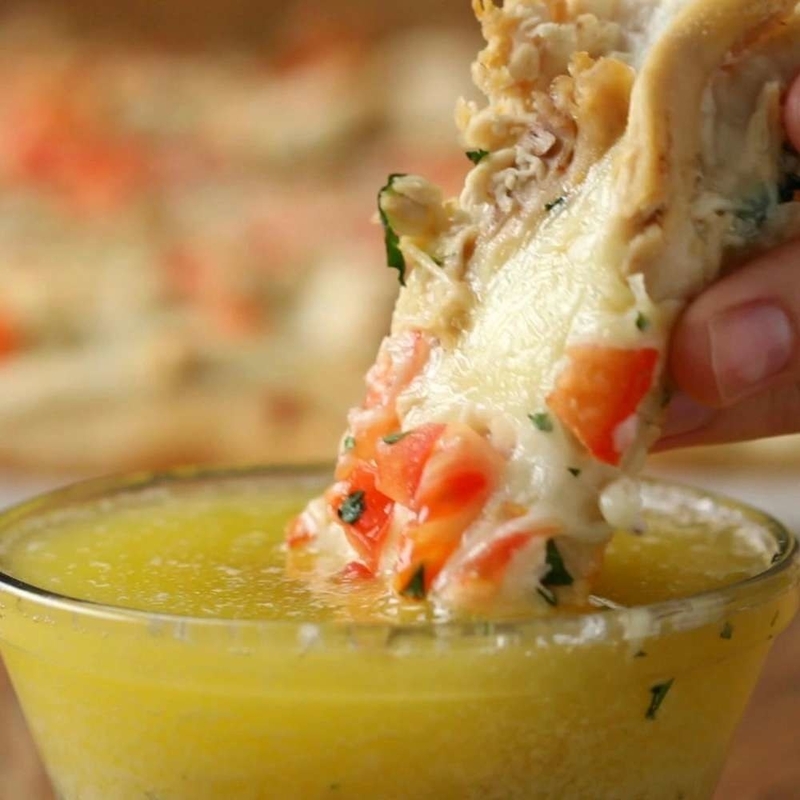 A ~legit~ pizza cutter to make whipping up your own pizza creations (like these chicken alfredo dippers) seem waaay more appetizing than any takeout. Get the recipe from Tasty and the pizza cutter from Amazon for $6.99+. 14. 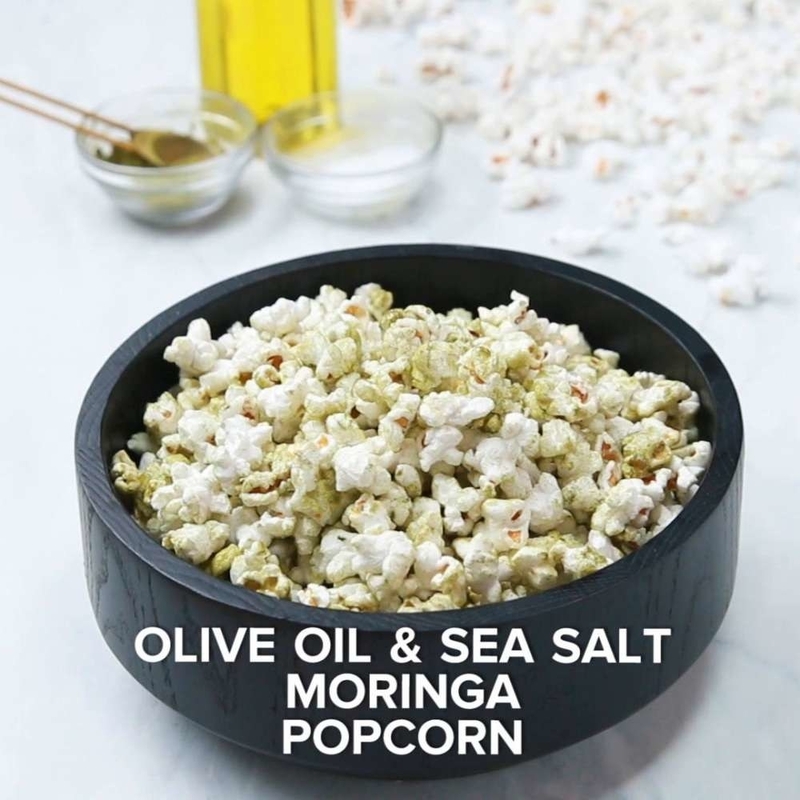 An air popper for getting some olive oil sea salt moringa popcorn into your mouth even faster! 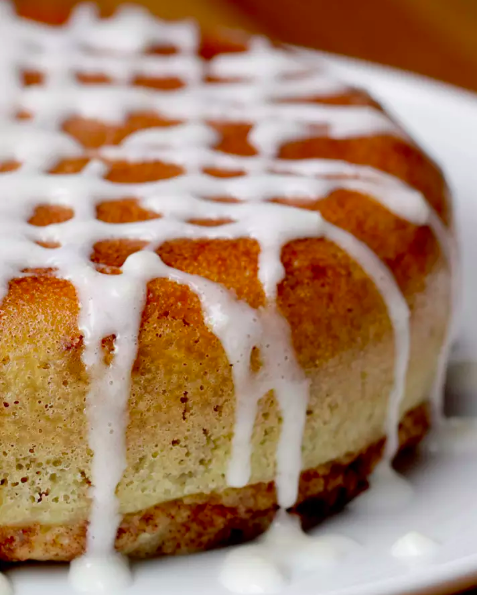 Get the recipe from Tasty and the popper from Amazon for $13.99. 15. 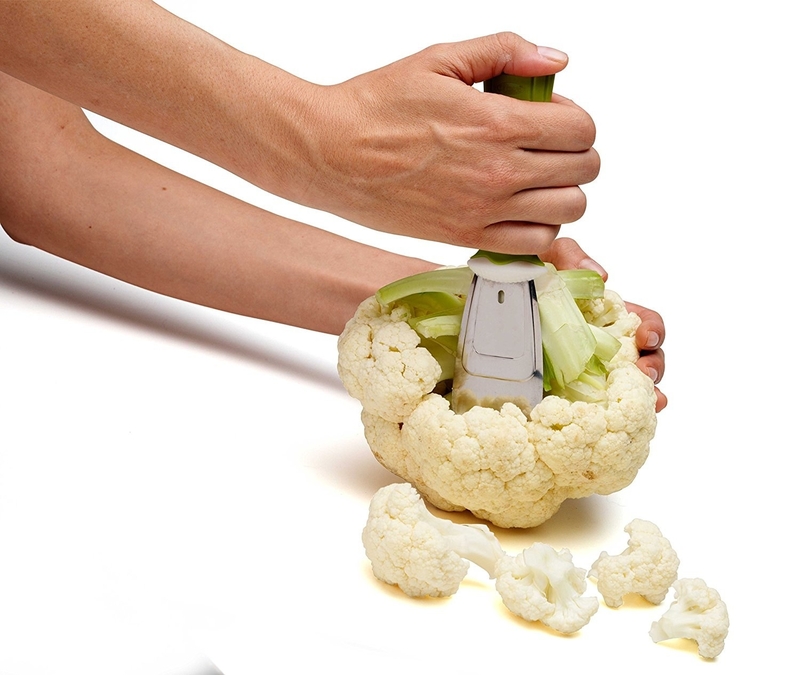 A cauliflower prep tool for dismantling the essential ingredient for scrumptious cauliflower tots. 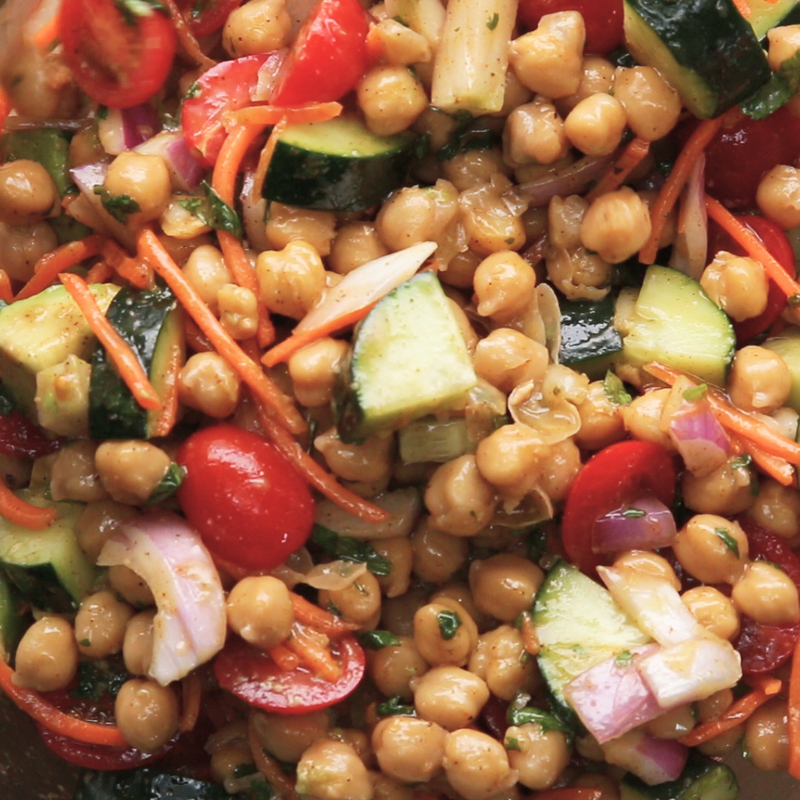 Get the recipe from Tasty (and YouTube) and tool from Amazon for $5.97. 16. A handheld grater — it won't limit your cheese options to the pre-shredded stuff for Lawrence Page's five-cheese mac and cheese. 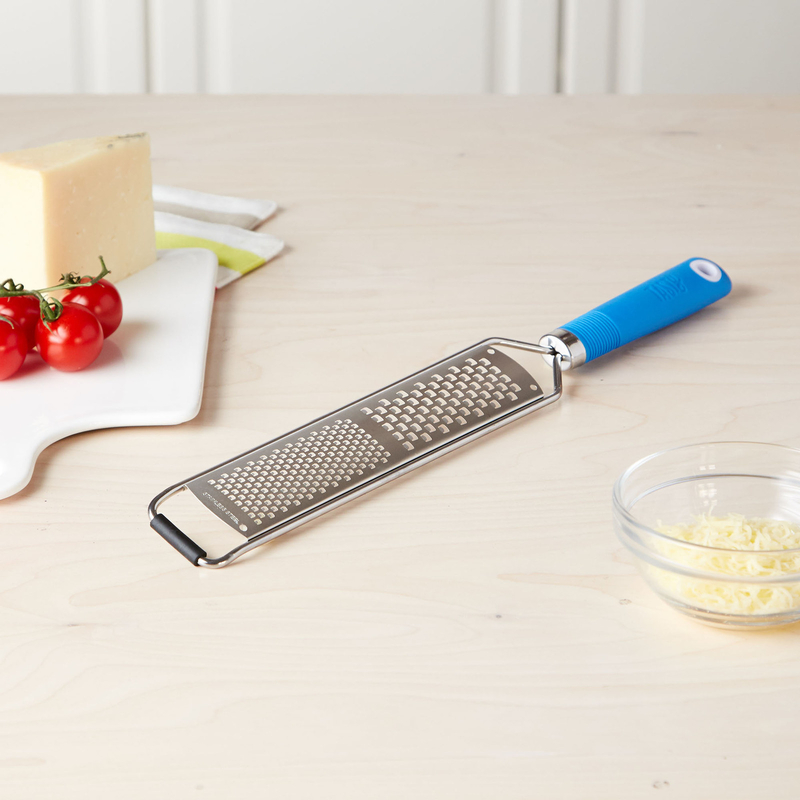 Get the recipe from Tasty and grater from Tasty's collection at Walmart for $8.97 (available in four colors). 17. 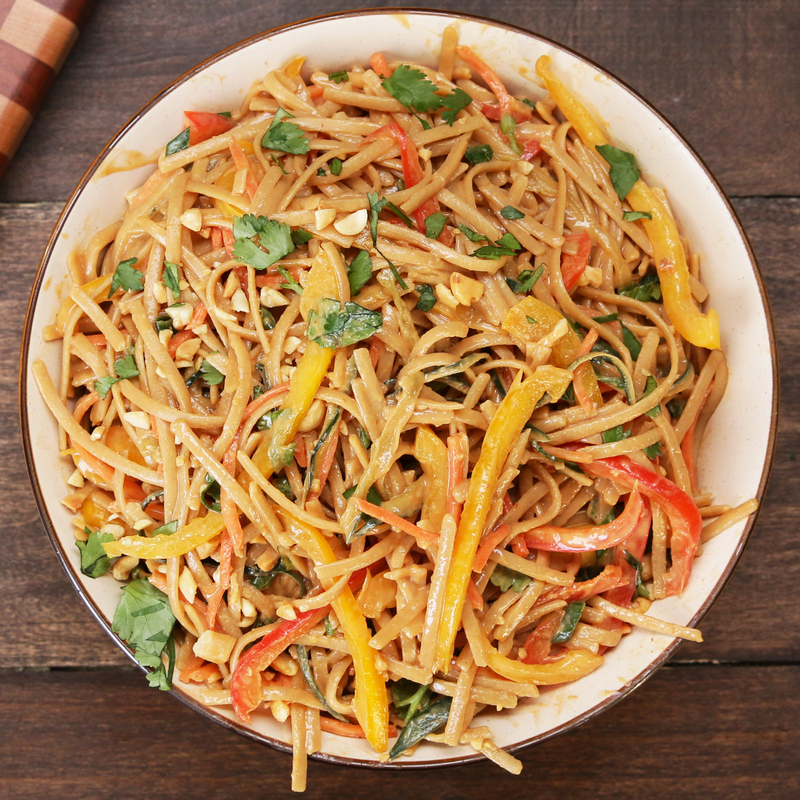 A microwave pasta cooker — it'll take care of the noodles in this peanut noodle pasta salad while you worry about the rest. Prep the rest of your recipe while you get perfect al dente pasta in the microwave...without having to worry about the water boiling over. Get the recipe from Tasty and the pasta cooker from Amazon for $14.99. 18. 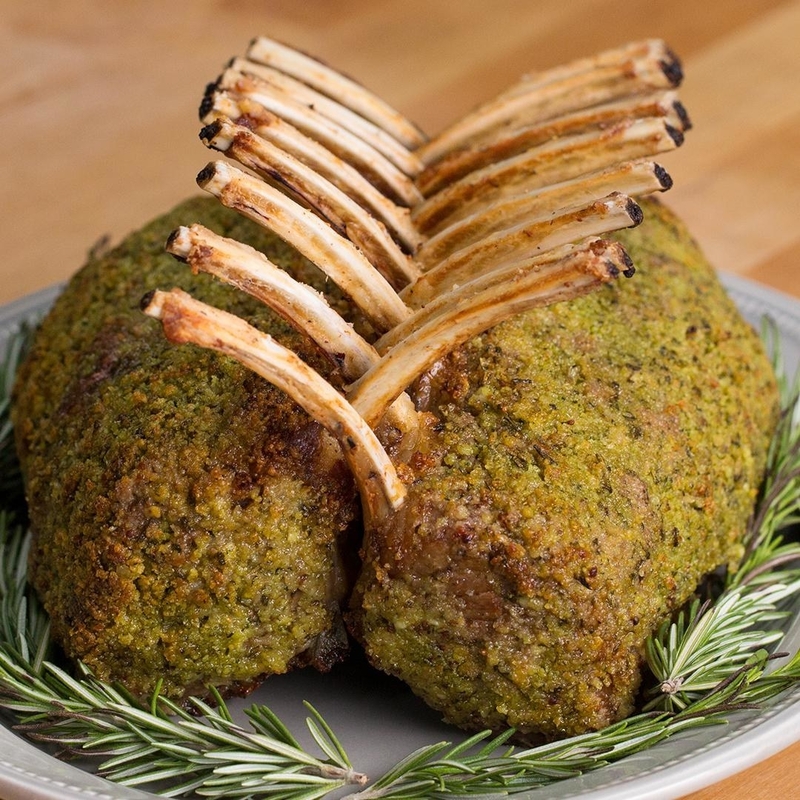 An herb stripper to help create this magnificent garlic herb crusted roast rack of lamb. Get the recipe from Tasty or the herb stripper from Amazon for $7.99. 19. 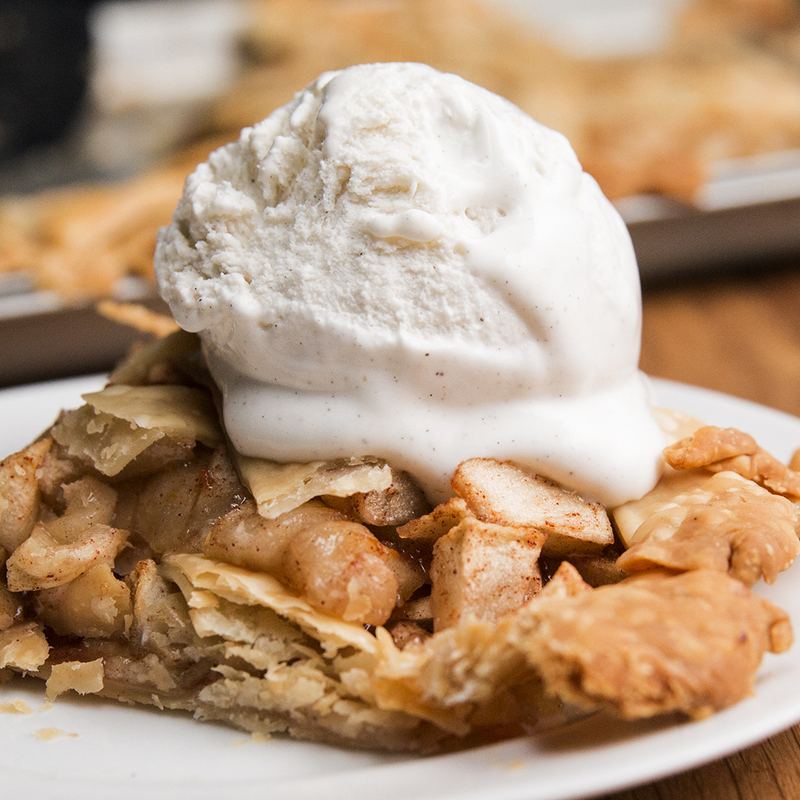 An apple slicer for getting you from whole fruit to this apple slab pie. 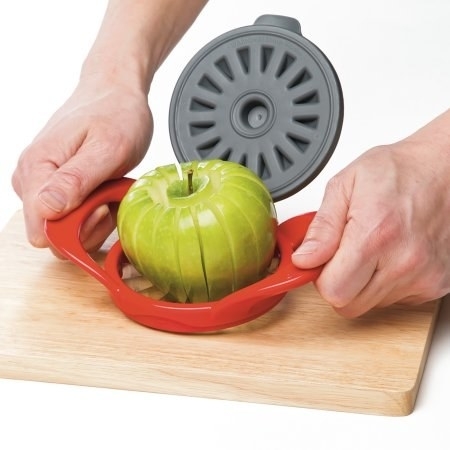 Get the recipe from Tasty and the apple slicer from Walmart for $9.99. 20. 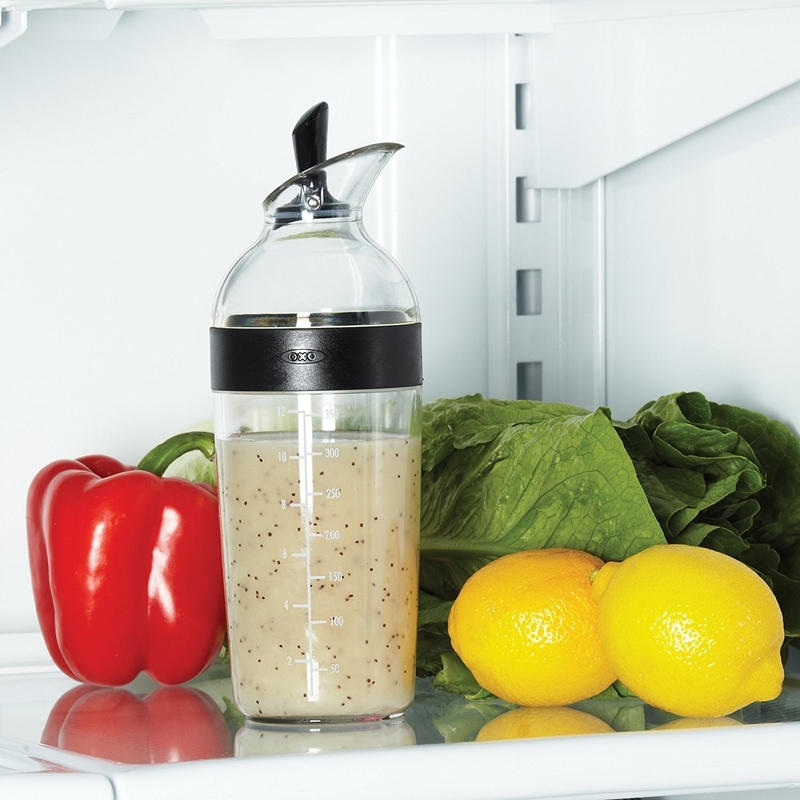 A dressing shaker that'll keep the "just in case" extra dressing you made for your shrimp salad with creamy avocado dressing fresh for your empty-the-crisper-drawer salad. The shaker is BPA-free and dishwasher-safe. Get the recipe from Tasty or shaker from Amazon for $14.95. 21. 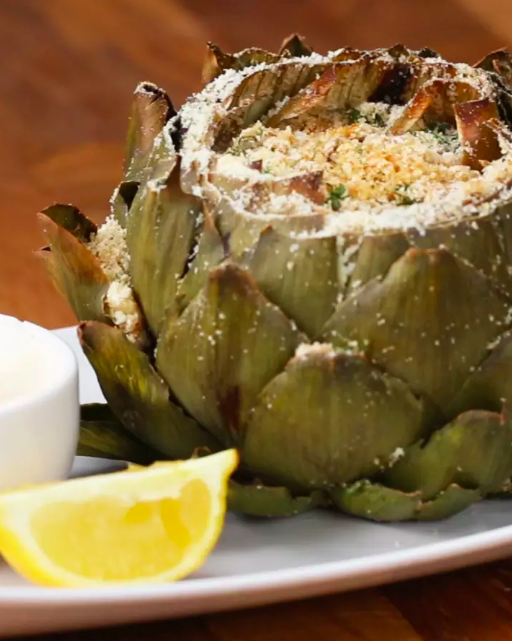 A domed citrus juicer to catch lots o' fresh lemon juice for garlic parmesan-stuffed artichoke masterpieces. 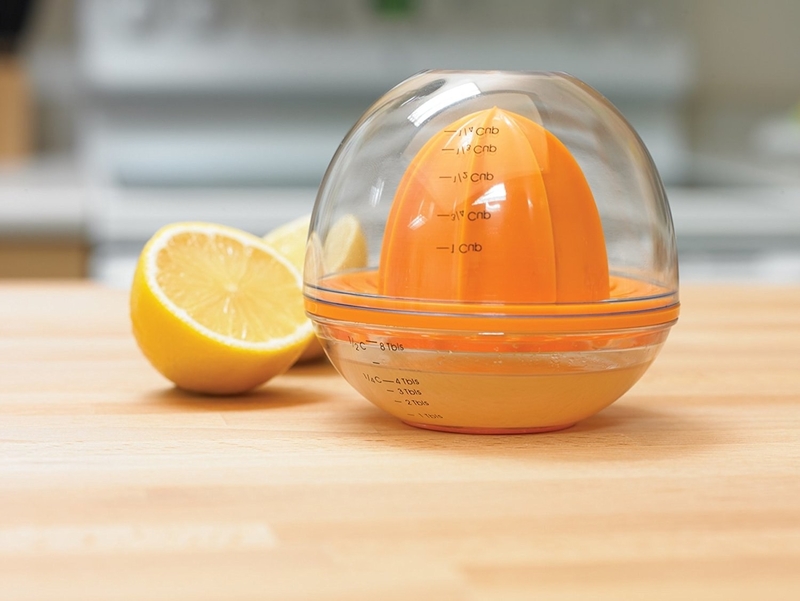 Get the recipe from Tasty (and YouTube) and the citrus juicer from Amazon for $4.91. 22. 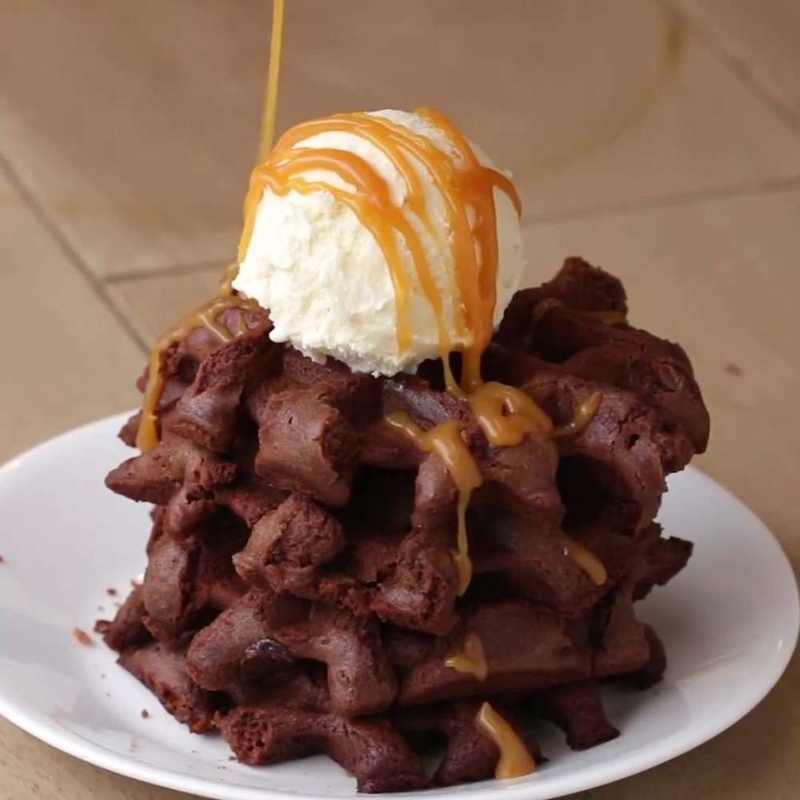 A waffle maker that'll help the dream of a box brownie waffle sundae become your sweet, sweet reality. 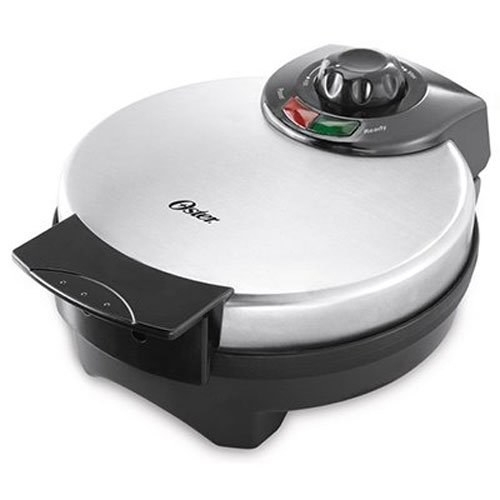 Get the recipe from Tasty and the waffle maker from Amazon for $19.99. 23. 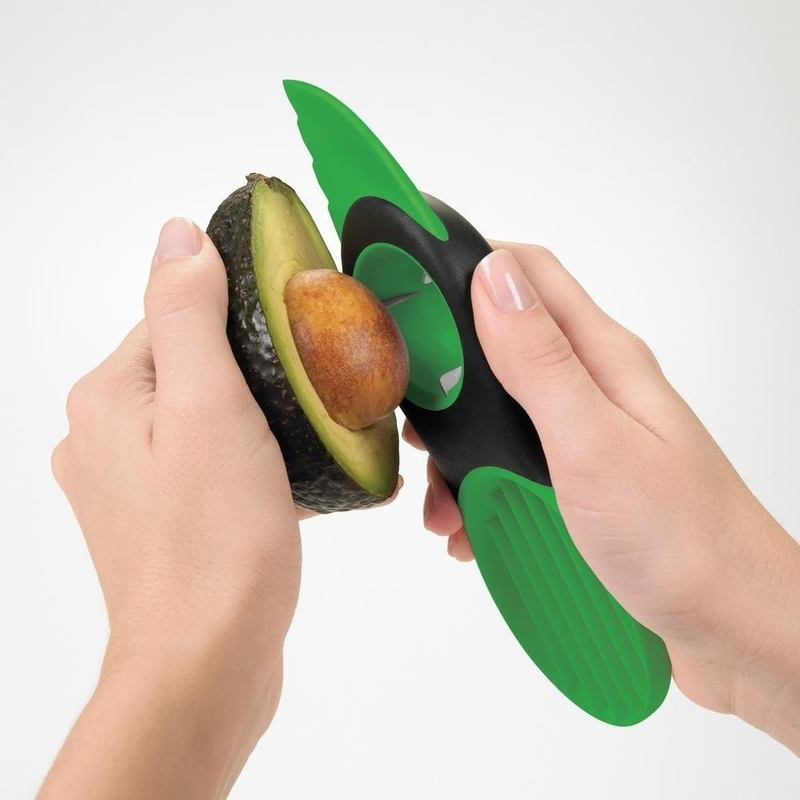 A 3-in-1 avocado tool to ~safely~ dismantle the green fruit for a beautiful avocado chickpea salad with chili lime dressing. 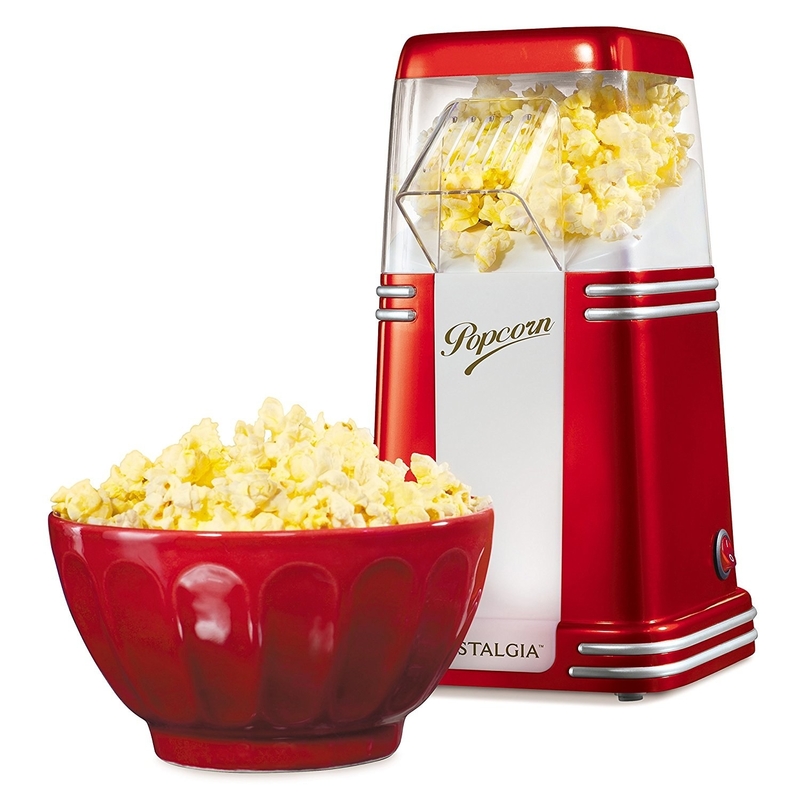 Promising review: "This is the best kitchen gizmo I've bought in a long time. 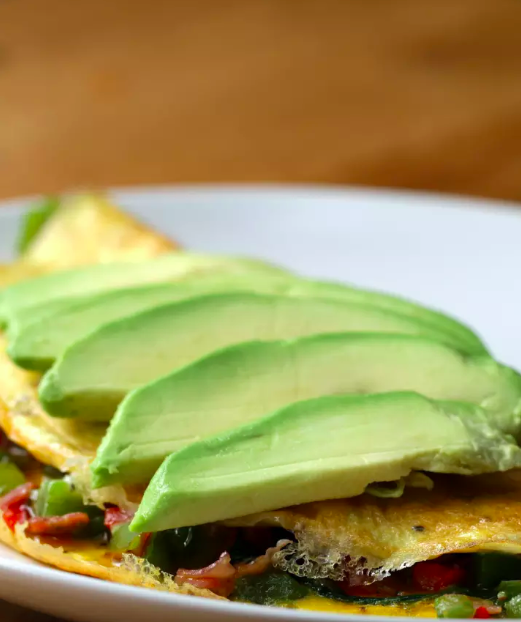 We eat a lot of avocados in my house. (We get them by the bag at Costco.)" —M.B. Get the recipe from Tasty and the tool from Amazon for $9.99. 24. 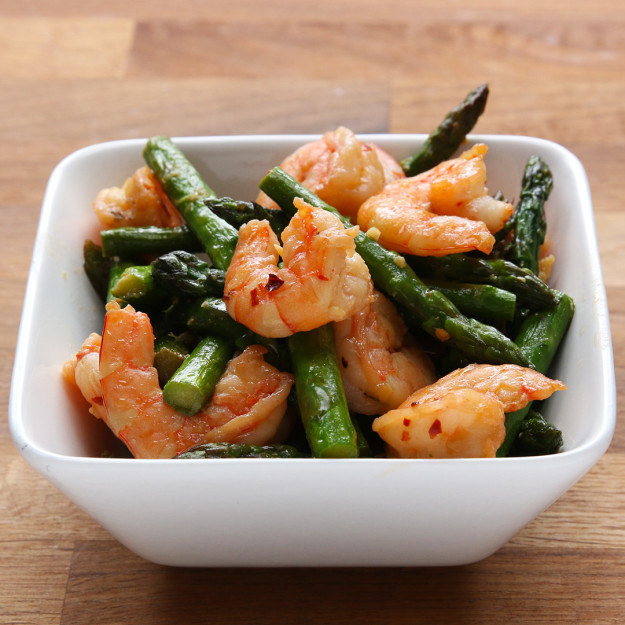 A show-stopping food chopper — it might spur you to make even more gram-worthy recipes like like some shrimp and asparagus stir fry. 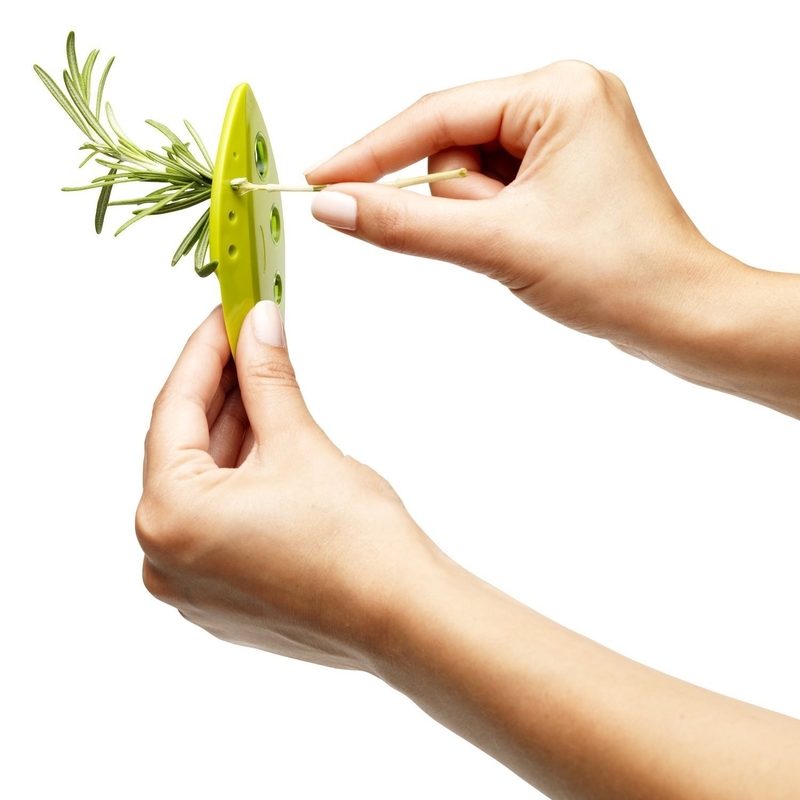 This neat gadget will replace the need for a cutting board, meaning you'll have fewer dishes to wash! Get the recipe from Tasty (and YouTube) and the chopper from Amazon for $9.99. 25. 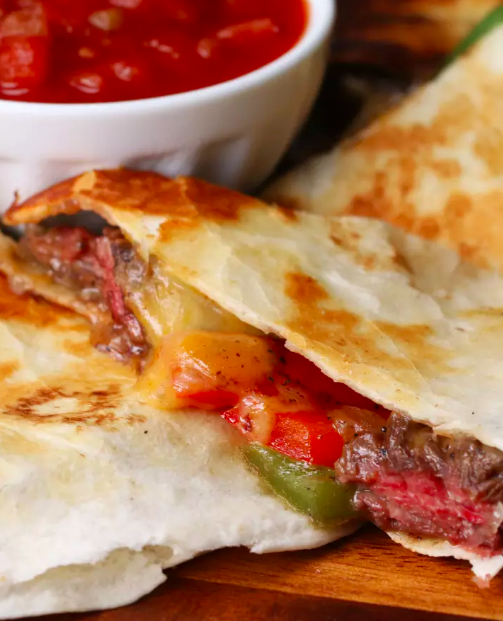 An electric quesadilla maker to take flipping out of the equation when it comes to cheesy treats like some steak fajita quesadillas. 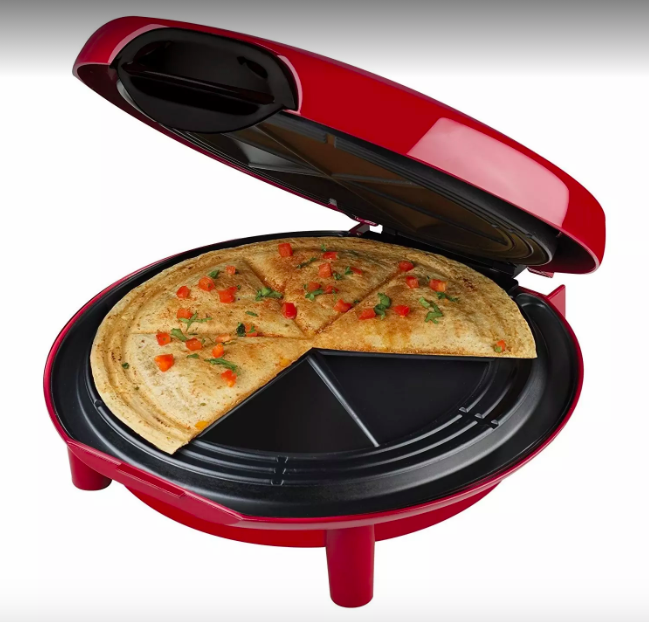 Get the recipe from Tasty and the quesadilla maker from Amazon for $23.99. 26. 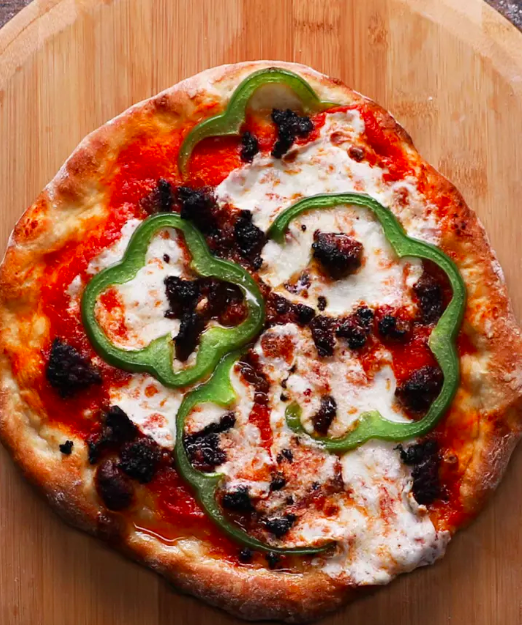 A cast-iron pizza stone — it will pay for itself over and over again after you've mastered this brick oven-style pizza recipe that'll make you breakup with the pizza delivery guy. Anything that helps you make pizza is well worth the investment. 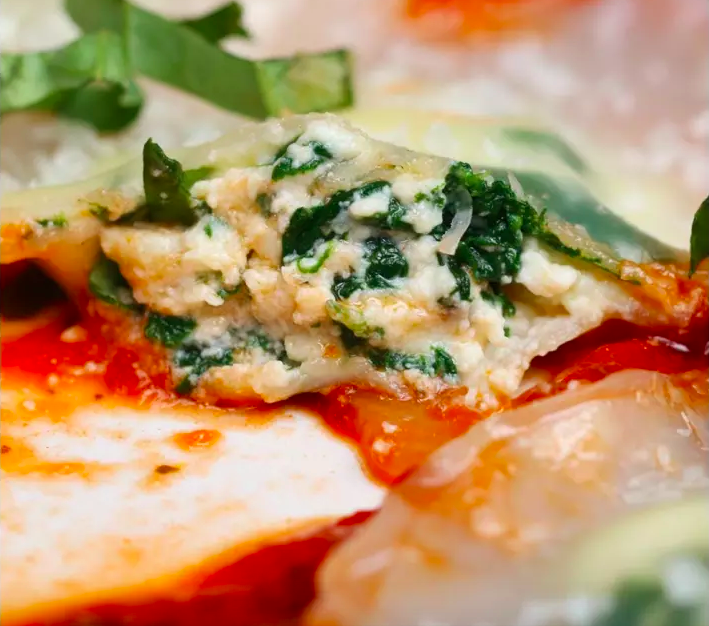 Get the recipe from Tasty (and YouTube) and pizza pan from Amazon for $39.97. 27. 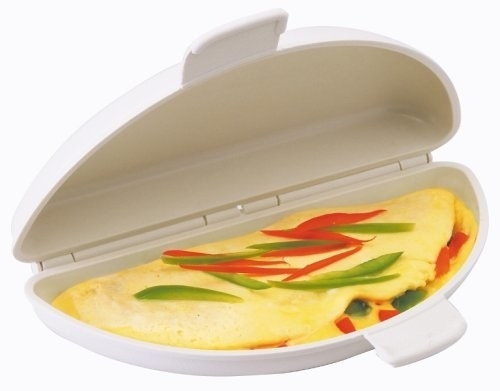 A microwave omelet maker to earn you a few minutes of standing-up-in-the-kitchen sleep while it does its magic on a gorgeous Southwestern omelet. Get the recipe from Amazon for $8.49. 28. 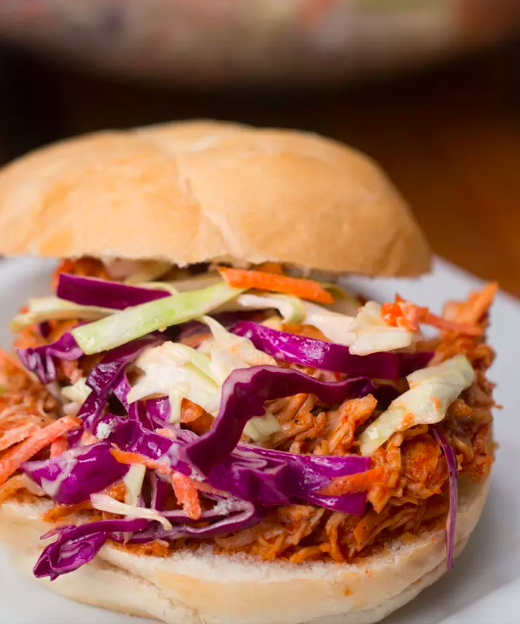 A pair of claw-like meat shredders that'll have you feeling like Wolverine, except the only reason people are hunting you down is because they want a bite of your BQQ pulled chicken sandwiches. Yes, like a bear. But it's sooo much more efficient than doing the same with a fork and huge knife. 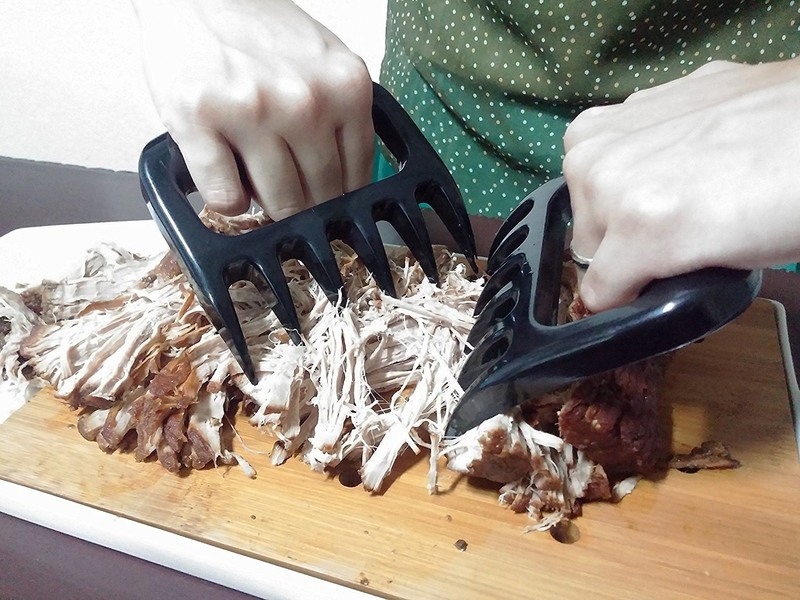 Get the recipe from Tasty and the shredder claws set (with a pair of cooking gloves and silicone baster) from Amazon for $20.95. 29. A set of reusable toaster bags to help elevate your grilled cheese game. 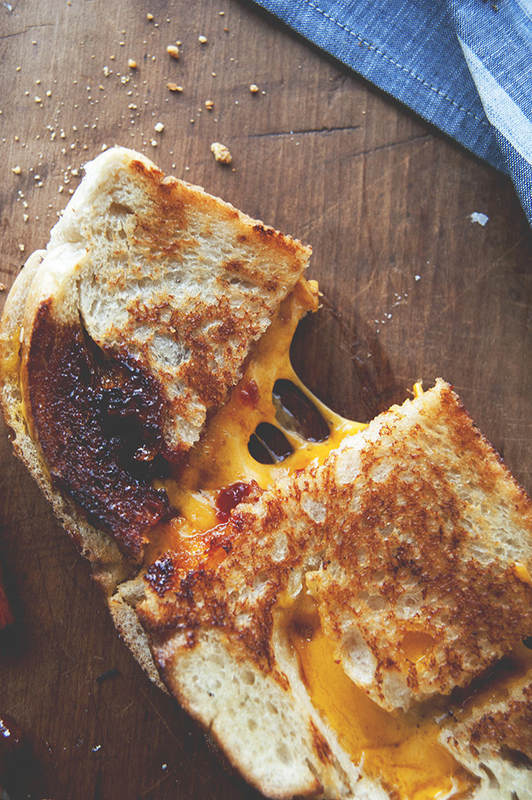 Try this tomato jam grilled cheese for starters. 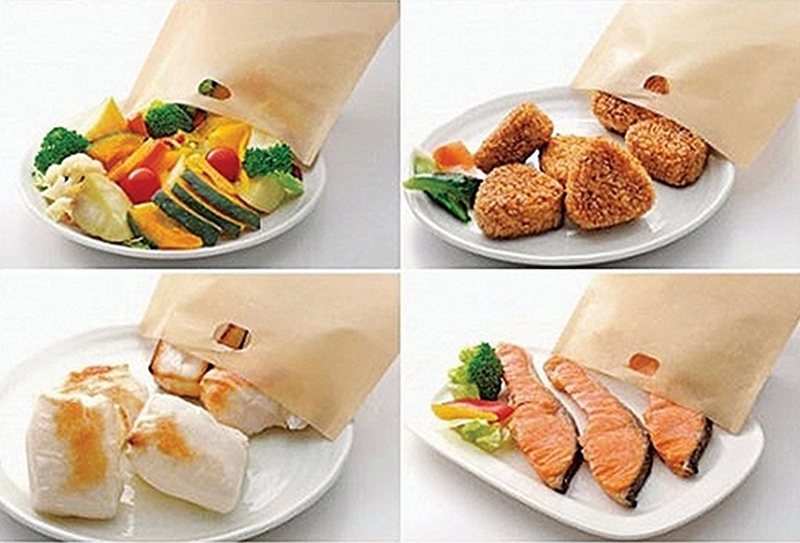 They're also great for avoiding cross-contamination if someone in your household has food allergies. Get the recipe from The Kitchy Kitchen and a three-pack of the toaster bags from Amazon for $8.49.